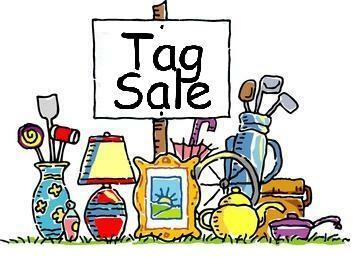 Everyone is invited to St. Michael’s bi-annual Super Duper, All Purpose, Hotsy-Totsy Tag Sale Friday May 17 ($5.00 preview admission fee on Friday evening) from 5:00 pm – 8:00 pm and Saturday May 18 from 9:00 am – 3:00 pm. This year, we have a HUGE amount of items with everything priced to sell fast. All items are sold “as-is” and NO returns or refunds! Come browse the variety of items: sports items, games, infants/children, books, artwork, lamps, tables, dishes, pots & pans, craft items, linens, towels, cutlery, toys, knick-knacks, household items, furniture and much, much more!